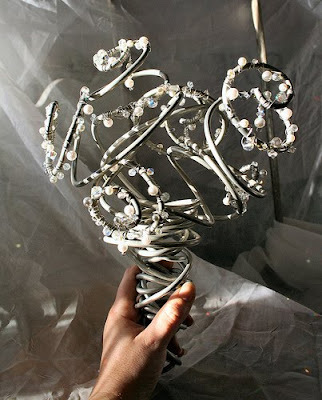 The DIY Bride: DIY We Love: Non-Floral Bouquets! 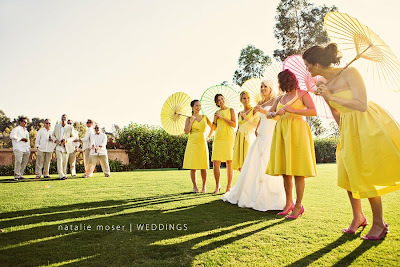 It's no secret that many brides are seeking out new and innovative ideas to replace traditional floral bouquets nowadays. Whether it be for lack of funds, flowers aren't your style, you want to be different etc., non-floral bouquets are gradually becoming more and more popular. Possibilities are becoming virtually endless when it comes to deciding which approach you want to take. 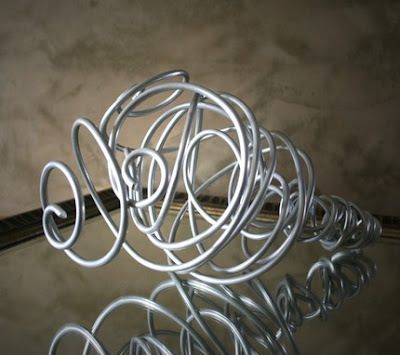 Click here to learn how to make these on your own! 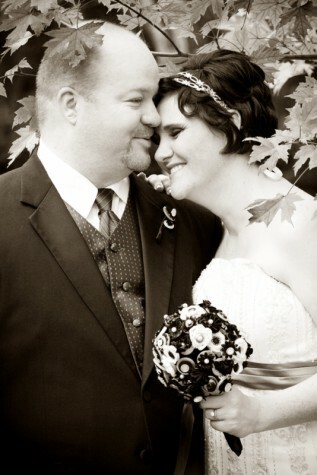 Another favorite of mine was found on the OffBeatBride's website, where she featured bride Sandy's ornament and paper bouquets! 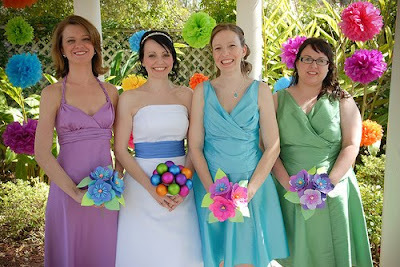 Sandy created these paper flower bouquets by purchasing Wild Magnolia paper flower kits from Paper-Source. Click here to view all of the other great paper flower kits that can be purchased from paper-source.com! 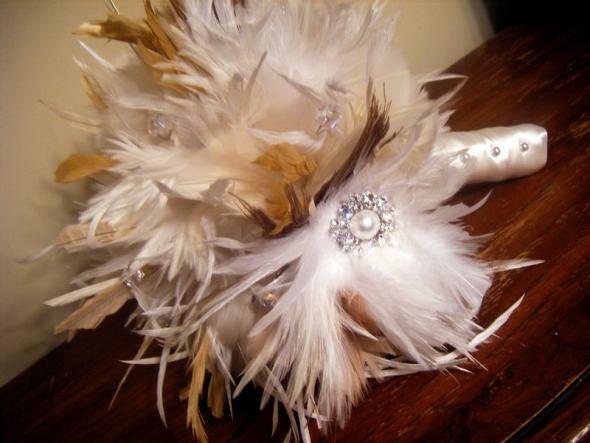 Feather bouquets are a new trend on the rise as well! These can be dressed up with color, different style feathers (peacock feathers perhaps?) or even jewelry! The above bouquet has been accented with a simple pearl brooch. Looking to create these on your own? 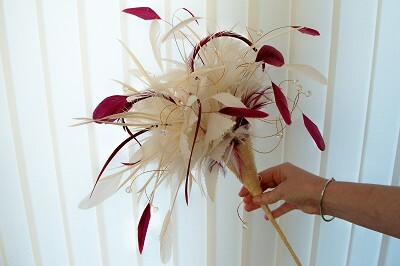 Follow my simple tutorial on creating your own toss bouquet except replace the silk flowers with feathers! Are you looking to really think outside the box? Etsy seller, REFINERII, sells aluminum wire bouquets in her Etsy Shop! 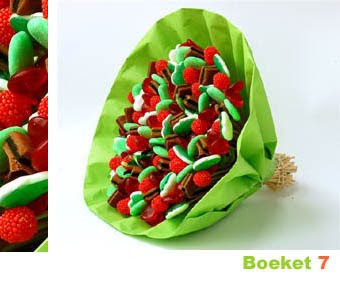 Click here to learn how to make these candy bouquets! 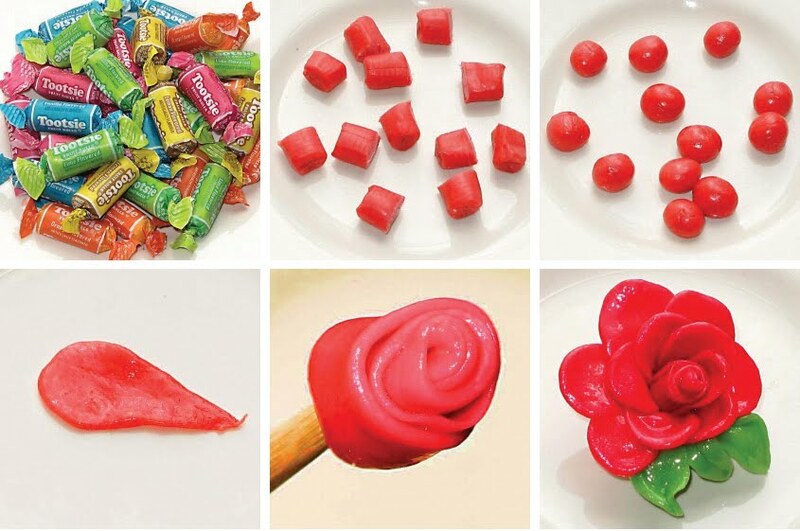 Or perhaps you could create your own Tootsie Roll Roses! 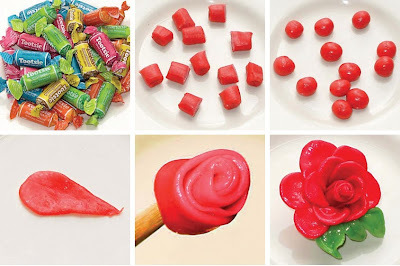 The blog, Dabbled, shares her tutorial on how to make your own Tootsie Roll Roses. 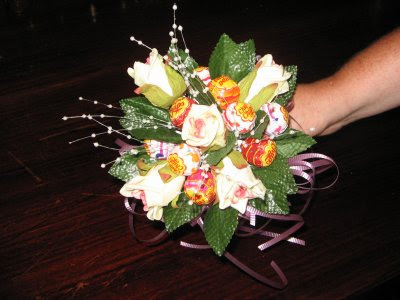 If you don't want to create these for the wedding, how about making simple Tootsie Roll pop bouquets for the Rehearsal! How about forgetting the idea of having a bouquet at all, and carry parasols! 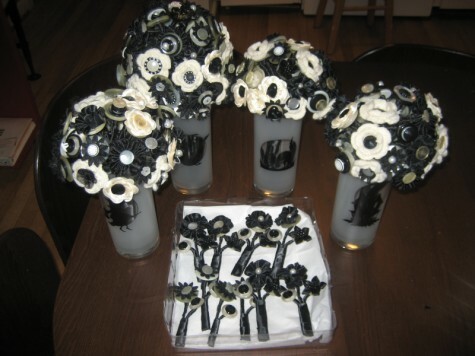 Think outside the box when creating your bouquets, and really create something that you truly love. No need to settle for flowers if you don't want them and if you can't afford them, you don't need them! Just have fun with it!